Local Mexican food restaurant with fresh salas, daily, and many tasty menu options. 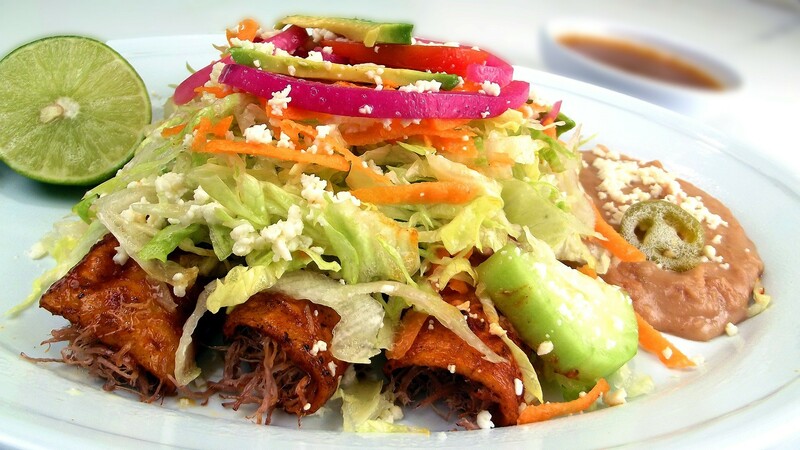 Cactus Restaurant offers the authentic flavors of Jalisco, Mexico with a touch of California. Cactus Restaurant features an outdoor patio, a full service cocktail, and banquet facilities. Wednesday is Karaoke Night. Eatery serving Mexican fare - offers many menu dishes, serves breafast and dinner all day. Lunch hours do apply. Casa Mexicana is known for their homemade, hand-made tortillas. Great option for large parties. Traditional Mexican cuisine, served with a smile. Authentic Mexican food in beautiful Downtown Lodi! Come enjoy our delicious food, great atmosphere, and even our outdoor patio. La Campana Taqueria began in 2000 as a way for hard working men and women in the Lodi area to get a quick meal that would be fresh, hearty, tasty and a fair price. Specializing in seafood & Mexican food, Mar Y Tierra Mexican Grill is open for breakfast, lunch, and dinner. Downtown Lodi restaurant, keeping it casual and serving up tasty Mexican cuisine. Stop in for a spicy breakfast, lunch, or dinner. Casual Mexican food eatery serving breakfast, lunch, and dinner, daily. Offerd tradtional Mexican food dishes and seafood. Fast, fresh, local downtown Mexican food. Here you can find giant burritos, traditional tacos, and loaded carne asada fries in a casual environment, or take your meal to go.